Great mover with lots of chrome, long neck. Would be fantastic mount for youth or amateur. 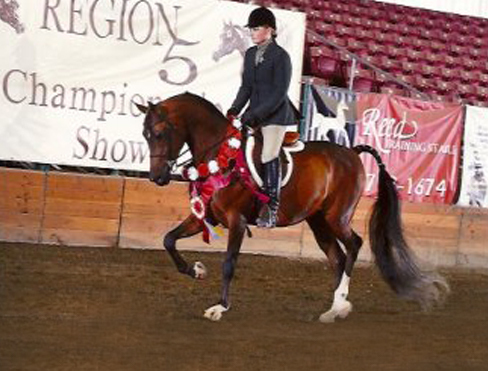 2015 Region V Arabian Championship show, Reserve Champion Arab Hunter Geldings. 2015 Region V Arabian Championship show, Top 5 Arab Hunter Pleasure.